The Kicks starts at $18,965 for the base S trim, and it's well-equipped at that price. If you select every option on the top SR Premium Package, you'll drive off for just $22,630. 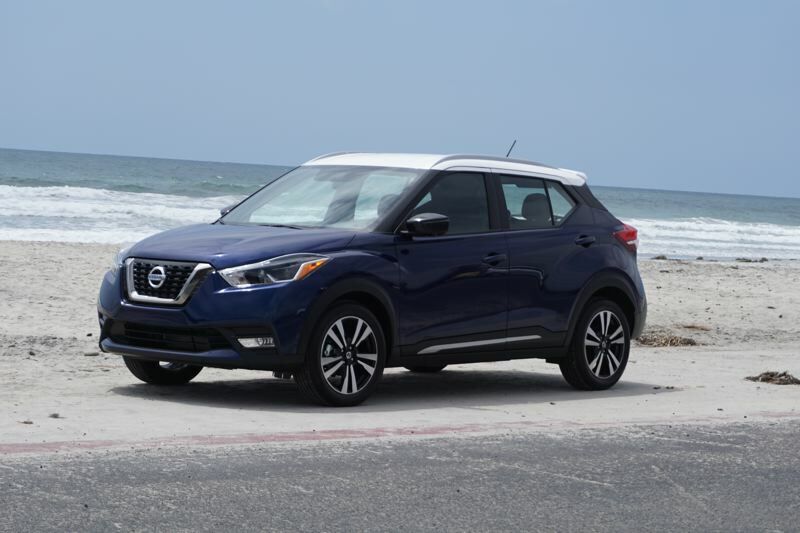 Nissan has just rolled out its latest subcompact crossover, known as the 2018 Kicks. The Kicks replaces the Juke, which was a great little crossover that never caught on. But all indications are that the Kicks is going to be a home run for Nissan, which also makes the best-selling Rogue and Rogue Sport compact crossovers. The central thing for Portlanders to know about the Kicks are that it's a front-wheel-drive vehicle, with no all-wheel-drive option available. 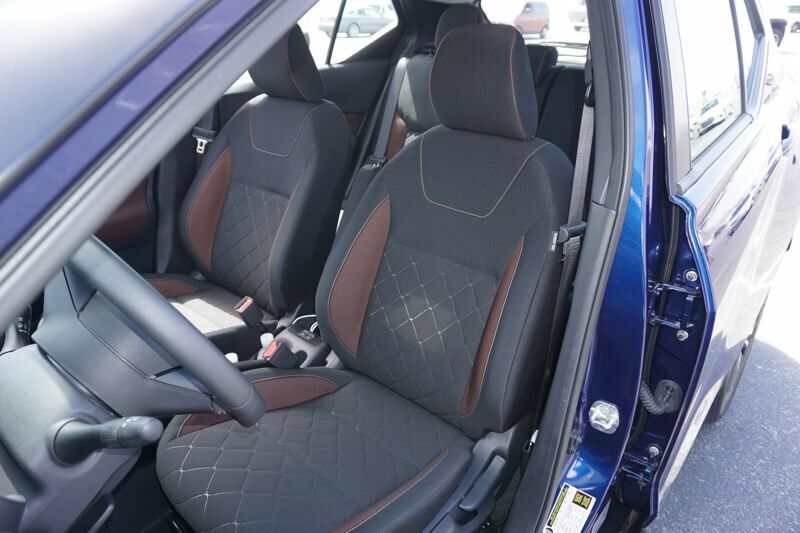 If you need AWD, the Rogue Sport is a great choice. But if your winter driving is mainly around town, the Kicks can offer you a great driving and utility package for less money. The Kicks starts at $18,965 for the base S trim, and it's well-equipped at that price. Kicks is currently the only vehicle in its class to offer automatic emergency braking, although almost all automakers plan to offer that technology as standard equipment in the next five years. The Kicks is powered by an economical 1.6-liter engine rated at 125 horsepower and 115 pound-feet of torque, mated to a well-made continuously variable transmission. On the road, the Kicks has plenty of power for normal driving purposes, including quick acceleration getting onto a freeway. You'll also notice that the Kicks has a quiet cabin. Nissan did an outstanding job of creating a responsive and smooth suspension while keeping road noise to a minimum. 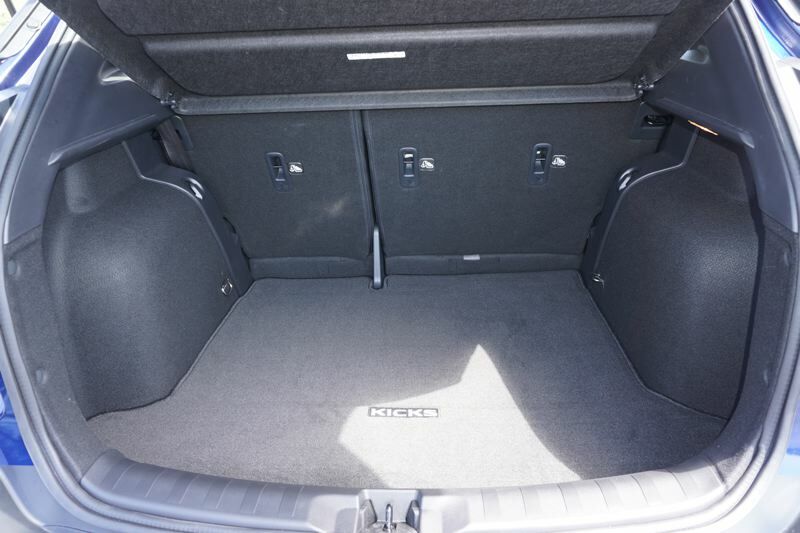 We tested on some of the noisiest freeways anywhere, and the Kicks is extraordinarily pleasant inside. Nissan offers the Kicks in a great selection of colors. As you might expect, there are two gray/silver tones, two shades of white, and a black. Nice enough, but boring. For this vehicle, you want some pizzazz. So check out the nice deep blue, the bright red, and especially the metallic orange. Nissan also offers a bunch of attractive two-tone paint combinations in the higher trim levels. Another thing about the trim levels: if you select every option on the top SR Premium Package, you'll drive off for $22,630. 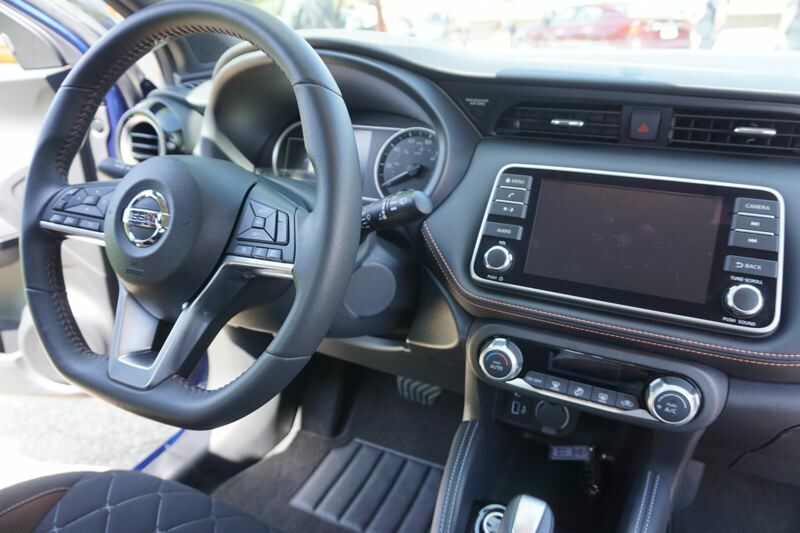 At that price, you get the really impressive Bose sound system with Android Auto and Apple CarPlay, heated Prima-Tex leatherette seats, blind spot monitoring with rear cross traffic alert, LED headlights, security system, and two-tone paint. You also get the surround-view birds-eye camera system with an extra camera to watch the right-front tire. Once you've experienced that, you won't want to give it up. The bottom line is that there's very little reason not to go big on the Kicks and get all those great features for about the starting price of other SUVs. The 2018 Nissan Kicks is arriving at area Nissan dealers right now.